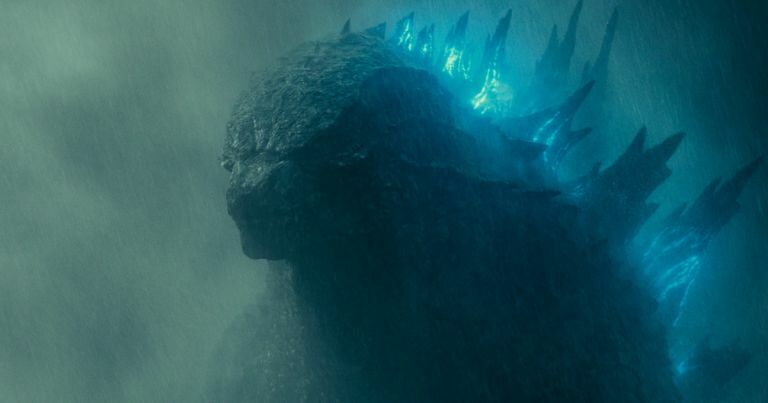 Watch the five minute Godzilla: King of the Monsters IMAX preview that played in front of Shazam! featuring new footage that also played at WonderCon and the recent CinemaCon. 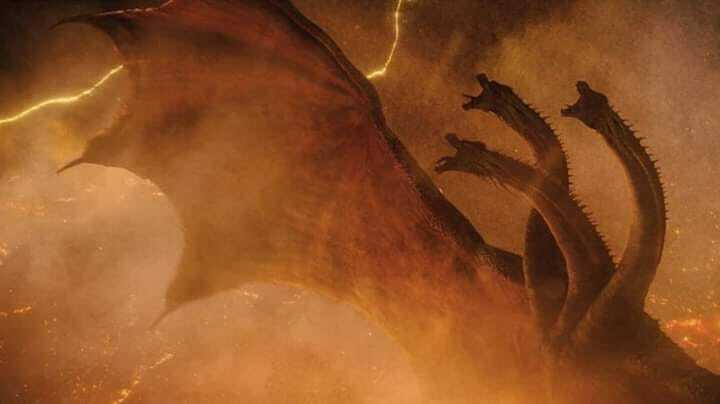 The footage features the ice station scene with the birth of Ghidorah, a look at Rodan, Godzilla and more. Check it out on archive.org. The full description for the Godzilla: King of the Monsters footage includes that the trailer starts with an introduction by Mille Bobbie Brown's character, Madison Russell. The earth is destroyed and the nation's capital is on fire. Humans are working underground at an ice station trying to find a solution by waking the monsters in hopes that they will fight for them. Instead, when they wake up Ghidorah, their base is destroyed and they are left running for safety. Vera Farmiga's character, Dr. Emma Russell, is the one who makes the call to awaken the great Ghidorah, but the three-headed titan rises up and attacks the humans and soldiers. Help arrives in the form of Godzilla as the two square off, and Farmiga tells her family she is saving the world. Mothra is seen flying over a city creating gusts of wind that blows back the humans on the ground. Godzilla, Ghidorah, Rodan, and Mothra are all shown in battle, with atomic breath and lightning bolts being spewed about.